New York subway riders now have a new app that tells them when a train is expected to leave the platform, and when one is going to arrive. 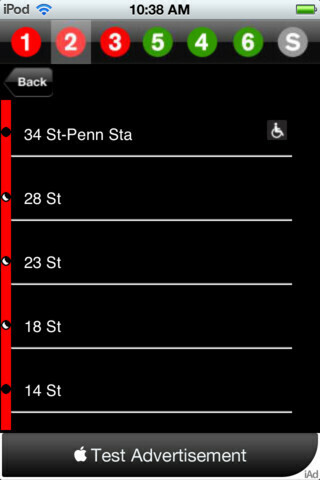 The app, called MTA Subway Time, brings real-time information from 7 lines (1, 2, 3, 4, 5, 6 and the 42nd street shuttle) to iOS users, with more coming in future updates. 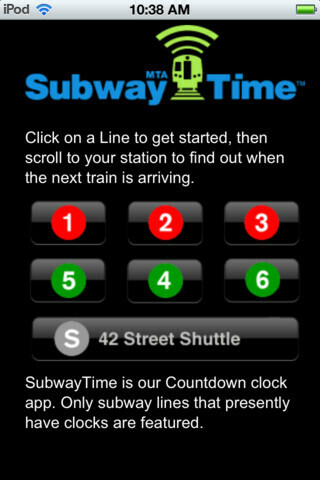 The app works with the countdown clocks that are tied to the MTA's central computers. The first update, expected out in 6 months to a year, will cover information for the L line which covers northern Brooklyn and Manhattan's 14th Street. The 7 line will be added by 2016 as it does take time for each line to get upgraded to the technology needed to pass along real time information. The lines covered represent only about a third of the subway system.The remaining two-thirds of the subway, which carries about 60% of the system's riders, uses signal technology that was used in the middle of the 20th century or even earlier. It could be years before they have the digital technology in place to drive the countdown clocks that feed the app with the real-time information. While the app is only for iOS users,The New York MTA had been hoping to offer the same app for the Android and Windows platforms, but is now trying to spur third party developers to produce those versions of the app by giving them the data stream needed to develop the software. Since Apple Maps doesn't provide transit directions, the app is important for iOS users in the Big Apple. Other areas of the country have similar apps available. California's Bay Area Rapid Transit System, or BART, released a web based mobile app and in 2007, BART released open format transit data that third party code jocks used to write their own apps. Meanwhile, the Massachusetts Bay Transportation Authority and the Chicago Transit Authority (the original name for the rock group Chicago, by the way) also support third party developers with real-time information. 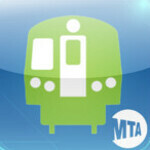 MTA Subway Time is a free app available from the App Store. wouldve mattered to me if it was on google play. Honestly this app is kind of limited in comparison to the default info I get from Google Maps on Android. Just zoom into an area, locate bus/ subway stop and it'll give approx arrival times. In my experience it's pretty accurate, especially for bus departures before reaching the subway terminus.